This post contains affiliate links – which means I may receive a small commission if you click on the link. More info in the FAQ. As I’ve mentioned countless times – I flipping love party favors. I’m pretty sure that it’s my most anticipated item to plan and put together. Creating something physical that party guests can be reminded of the great celebration warms my heart. Corny – but so true. For our seance themed Halloween party, I wanted to incorporate something spooky into homemade soap. The obvious choice was a planchette – the heart shaped communicator in Ouija boards. 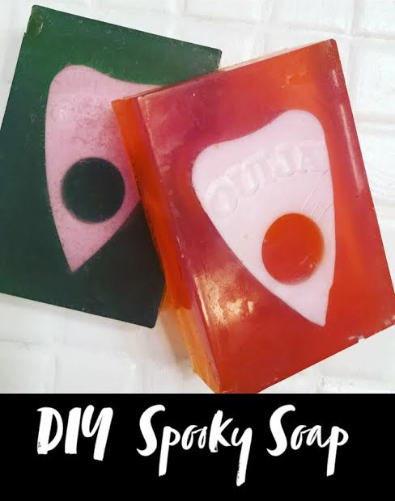 For basic instructions on the melt and pour soap – check out this tutorial. The planchette soap was wicked easy. Melt more olive oil soap (add a different color and scent) on top. Tip: Allow to cool so it doesn’t melt your planchette mold. This soap was really easy to make and will be the perfect favor for our guests to enjoy. 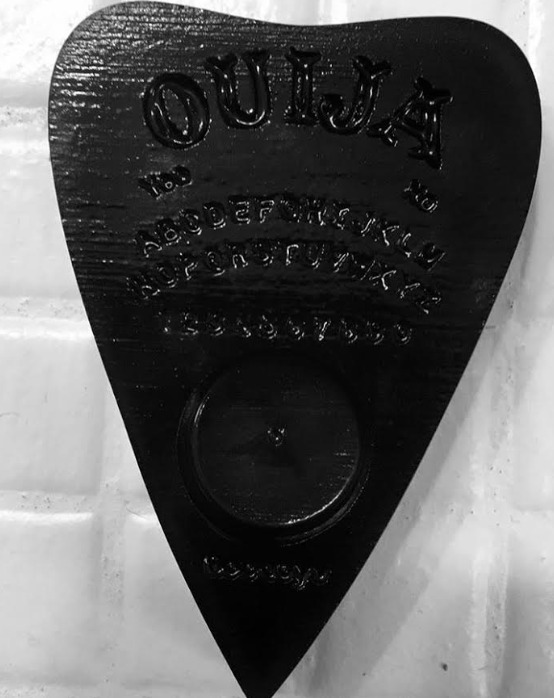 If you want to skip the layered/submerged soap – planchette molds are available on their own. This will definitely add that spook.